By far, one of the best things about raising, training and showing llamas, is the opportunity to meet the crias when they arrive! It is hard not to over handle them, but yet that is so important so that they don't become pushy as adults. 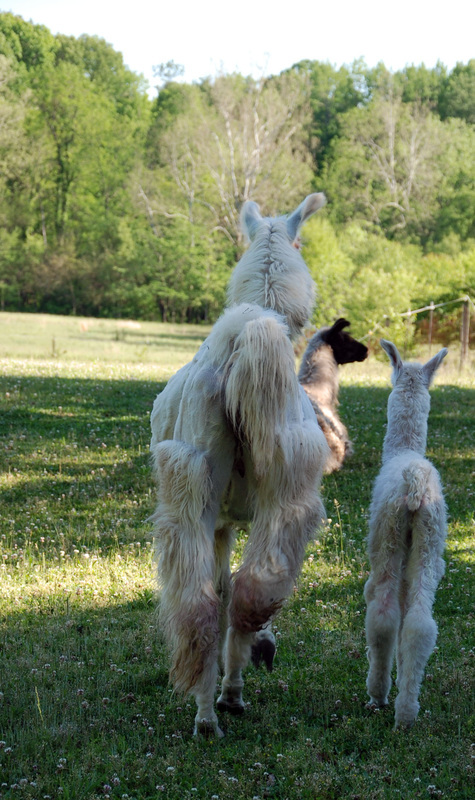 The female cria in this photo is Armful of Lilies, out of Hard Rock's Simply Stunning (also pictured). The sire of this gal is M.R.S. Fully Loaded. 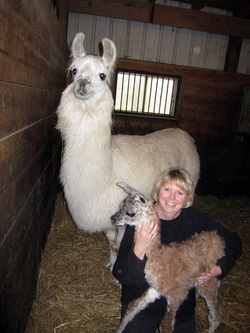 Stunning's female cria had quite a welcoming committee at Dawn of Promise Farm on the day of her birth! 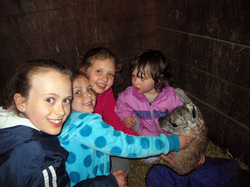 These kids all participate in our llama handling/training lessons and two will be showing in the 4-H program this year. We all have such fun! 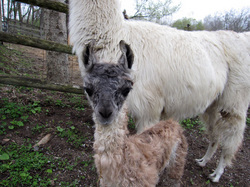 I just love this image of our new cria's face! Isn't she a pretty thing! 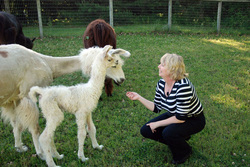 Born May 2, 2011 at Heartsong Llamas of Dawn of Promise Farm. The photo is linked to a Youtube video of her first steps. Enjoy!